As the 'twitterpated' season ends and young wildlife are being born, it's important to realize that young are often left alone by their parents for their own safety. We naturally want to protect and care for a seemingly abandoned baby animal, but many wildlife infants are born much more advanced than human infants. This means wildlife babies are capable of being left alone. Eastern cottontail rabbit kits mature very quickly, leaving the nest after 3 weeks as small versions of their parents. A small baby rabbit with erect ears and open eyes does not need assistance. Neither does a young bird with feathers fully covering their body. At this point, the young bird is a fledgling and learning to fly. Although it may appear to be alone, the parents are often nearby to help if there is trouble. On the other hand, nestling birds that lack feathers and are covered with down, are not able to fly or perch on their own. These nestlings should be placed back in their nest. If the nest has been destroyed, craft a makeshift nest with a basket or small container placed off the ground. As cute as young rabbits are, take a moment to remember that your good intentions in holding one could actually cause harm to you AND the animal. Wild animals are born to live their lives in the wild. Leaving wildlife young alone is a parental strategy that helps to ensure their offspring's safety and protection. For example, female cottontail rabbits will often leave their kits alone yet concealed while she feeds during the day, only returning at night to care for them. Female white-tailed deer employ this same strategy, protecting the young from being found by predators. Wildlife parents are generally very committed to their young and will usually only abandon them if there is an injury or death. Be sure to give the parents plenty of time to recover their young. 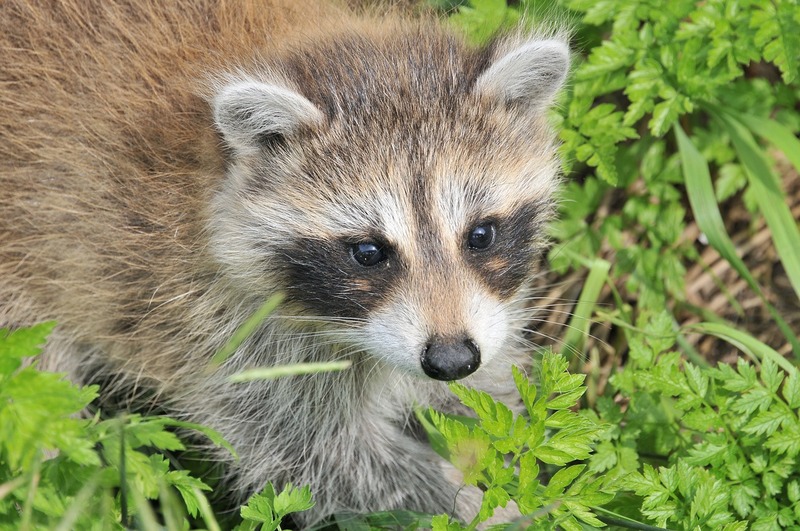 If the young animal is not recovered, or if there are injuries present, contact a wildlife rehabilitator. A list of country rehabilitators is available on the Ohio Division of Wildlife’s website: wildohio.gov/staywild. Never give food or water to injured or orphaned wildlife. Inappropriate food could harm the animal; fawns in particular have very sensitive stomachs and require a special diet. Always think before you act – even a young animal can bite or scratch, and in the process potentially spread a disease or parasite. Leave the capturing and caring for injured or truly abandoned animals to the trained rehabilitators. If you have any questions, call the Ohio Division of Wildlife before taking action at 1-800-WILDLIFE.